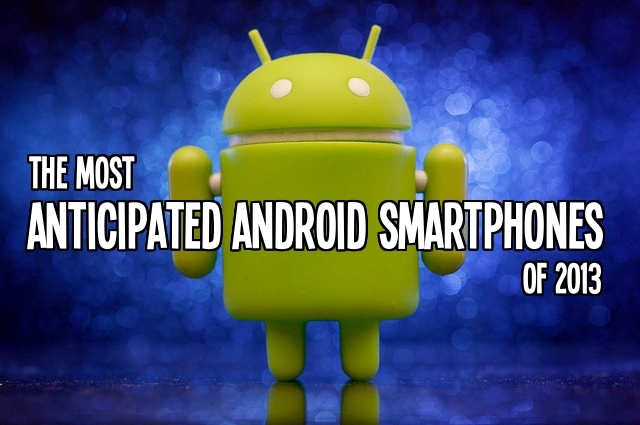 This past year was a fantastic one for the Android community. The year started out strong with the Samsung Galaxy Nexus and quickly got better with fantastic offerings from HTC, Motorola and LG. Google also released Jelly Bean with major enhancements to Android's UI and performance. If early reports are to be believed, 2013 will be an even better year. 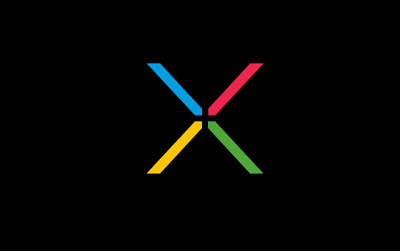 Google has partnered with LG once again to design the Nexus 5, which will launch in May. This is the year of the 5-inch display, and the Nexus 5 will feature a True HD screen with a full 1920 x 1080 resolution. 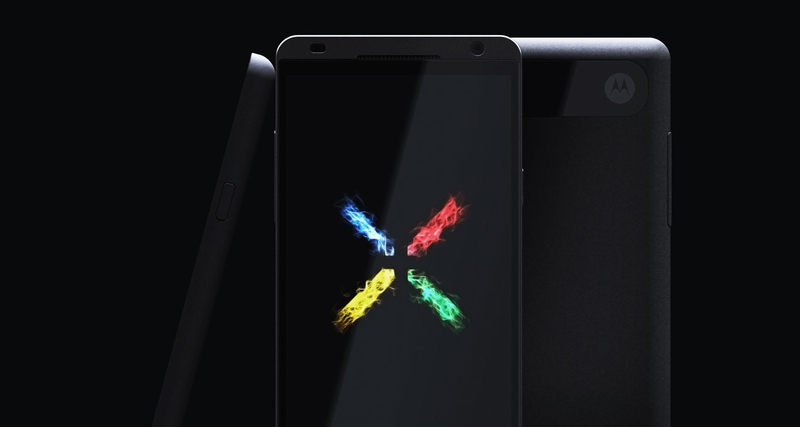 Due to LG's close working relationship with Google, the Nexus 5 will likely boast the latest version of Android, Key Lime Pie, so Nexus 5 owners will have a leg up on the competition at launch. Analysts believe that the Nexus 5 will sport a 13 MP rear-facing camera with an LED flash. With any luck, LG will upgrade the internal storage to a respectable 32 gigabytes (GB). The Nexus 4's maximum 16 GB of internal storage didn't cut it with many Android users. Consumers can also look forward to low prices on launch day. LG has a long history of pricing their consumer electronics very competitively, and the Nexus 5 will likely cost $300 for the 16-GB model. Users who want 32 GB of internal storage will only have to pay $50 more. Google has their hands full with their mobile development and this is especially the case with one of their more secretive projects known as the X phone. This will be announced hopefully at the I/O Developer conference in May, with an expected production in the fall. Motorola will be the manufacturing company and the partnership is expecting this phone to be a major breakthrough into the Samsung and Apple dominated market. Subtle hints from famous evangelist, Guy Kawasaki promotes the idea of a ‘build-your-own-device’. This would be a completely different idea introduced to the market. The idea of the high-end user getting the most powerful processor and regular users to tailor theirs to what best fits them. Recent analysts are expecting to see a 4.8-inch full HD display on the X phone, encased with Sapphire glass to be much harder than Gorilla glass shields. Processing power is expected around the 2GHz quad-core processing range. Another exciting rumor is a stronger 5+ megapixel front camera with light sensor. Samsung has a big winner with its Galaxy S line of phones. 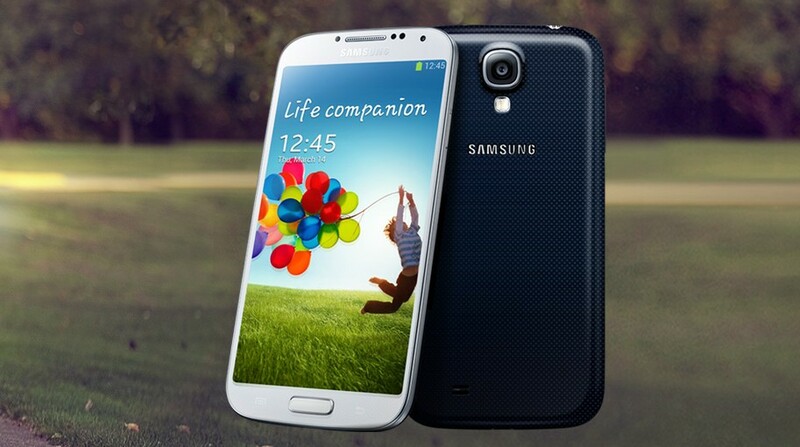 In January the manufacturer passed the 100 million units sold mark, and sales are expected to grow with the recent release of the Galaxy S IV. Consumers looking for raw power will get eight processing cores with the Samsung Exynos 5 Octa SoC. Fortunately, the S IV can switch individual cores off to conserve battery life, and the Exynos 5 Octa can also switch between its Cortex A15 and Cortex A7 cores depending on how much horsepower it needs. Other specifications are equally impressive. The S IV will double the S III's memory to 2 GB, and the display resolution will increase from 1280 x 720 to 1920 x 1080. Even though Samsung bumped up the display to a full 5 inches, its resolution means that the screen will offer an incredible 440 pixels per inch (PPI) pixel density, which is about 30 percent sharper than the human eye can see. Over the past few months, rumors have been swirling that the S IV will finally get eye-tracking technology. The phone is also likely to have Floating Touch Technology, so users can scroll just by hovering their fingers over their screens without actually touching them. Other likely improvements include wireless charging, allowing S IV users to recharge their phones without plugging them in. The Wi-Fi adapter will support the 802.11ac standard, which will boost LAN speeds up to 300 megabits per second (Mbps). Integrated Audience audio-processing chipsets will help to make calls clearer by sorting out voices from background sounds. For those smartphone users looking to get a Galaxy S IV without paying full price, Samsung will likely release a Galaxy S IV Mini with a smaller display. The S IV Mini will also carry fewer features to cut down on costs. HTC One: Possible Dark Horse of 2013? 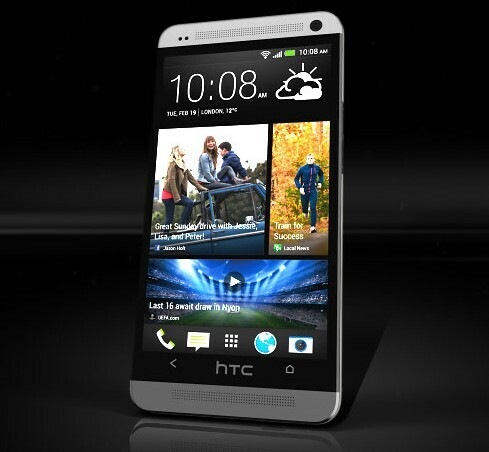 Like the Samsung Galaxy S IV, the HTC sports a 1080p display. While it's slightly smaller at 4.7 inches, the phone will still offer more screen real estate than most other smartphones on the market. However, the HTC One's main selling point is its brand new Ultrapixel camera. While the camera's technical specifications don't sound too impressive at just 4 MP, it's still capable of recording 1080p video at 30 frames per second. When it comes to picture quality, no other phone comes even close. The extra-large camera pixels pick up more light, so the HTC One camera offers excellent color reproduction. Other phones mess up color saturation in low- or high-lighting conditions, but the HTC One works well in most settings. The camera also uses a new LED flash that doesn't illuminate objects as harshly, so photos snapped in low-lighting conditions will still have excellent contrast. Aesthetically, the HTC One is beautiful to look at with its metal unibody case, which makes the HTC One far more durable than plastic phones. Unfortunately, these technical upgrades come at a price. Due to manufacturing and supply issues, HTC will only have 800,000 units ready for sale on launch day. Early adopters can apply for a $100 credit, but a scarcity of phones may hurt sales in the long run as Android users turn to the S IV and Nexus 5. In a comparison test with Samsung Galaxy S4, GSMArena concluded: "There's a lot to like about Sense 5 too. The whole OS has been reworked from the ground up. Not only has every icon been refreshed, but the way you use Android has been rethought. Unlike Samsung, who aim to throw as many software features as possible in their handsets, HTC is looking to set itself apart and win you over with simplicity, character and charm." I think that pretty much sums up what HTC One is all about. This year marks a turning point in the smartphone industry. Quad-core processors will become mainstream, and the first 8-core processors will hit the market. Instead of 1 GB of RAM, most smartphones will come equipped with 2 GB. Wireless speeds, power conservation and other technical upgrades will have small but noticeable impacts on everyday performance. However, there are some upcoming technologies that aren't quite ready, the most obvious of which is 3D. Some mobile devices like the Nintendo 3DS already support 3D displays that don't require clunky glasses, but the technology still needs further refinement before it becomes a worthwhile addition to smartphones in general. Larger smartphones and smaller tablets will continue to erode the boundaries between the two markets. Android 5.0 will also be an exciting update to the OS. Tickets to Google's I/O event sold out within minutes of being made available, so the entire world is waiting to see what Google and smartphone makers come out with next. About the author: This post is written by Brandon Serna. He’s a tech writer working with Complex. Apart from that, he loves to stay current with developments with mobile phones and the latest updates in technology.